There are many benefits that come along with installing residential and commercial outdoor lighting. You can make properties safer and more attractive by doing it. However, in addition to installing outdoor lighting, you also must take steps to maintain it so that it continues to work both now and in the future. Here are some tips for doing basic outdoor lighting maintenance. Replace any lights that have burned out immediately. Outdoor lighting can really brighten up the exterior of a home or business. Nevertheless, it’s obviously not going to be able to do it if you have bulbs in your lighting fixtures that have burned out. You should replace any burned-out bulbs with new ones right away. You should also consider using long-lasting LED bulbs that won’t have to be replaced every few months. It might cost a little more to purchase these bulbs, but they’ll pay off in a big way when you don’t have to worry about replacing them for years to come. Clean lighting fixtures that are covered in dirt, cobwebs, and more. Are the lighting fixtures that you use to light the outside of your home or business filthy? If so, they might be bringing down your curb appeal significantly. You also might be putting them at risk for mechanical failure at some point in the future, and they just won’t work as well when they’re covered in gunk. Every so often, you should make it a point to sweep cobwebs away from outdoor lighting fixtures and clean your fixtures thoroughly. It will keep them shining and ensure your lights always turn on. Fix any lighting fixtures that have been broken. It’s not all that uncommon for a lighting fixture to break. An errant baseball or a large tree branch can come through and wreak havoc on outdoor lighting. If you ever notice that one of your lighting fixtures has broken, you should have it replaced right away. It can prevent further electrical problems and keep your outdoor lighting system up and running. Do you need maintenance done to your outdoor lighting? Always on Electric can set you up with services that will take care of all your outdoor lighting needs. Call us at 970-309-2616 to schedule an appointment with an electrician. When is it Time to Upgrade Your Electrical Wiring? Most people don’t think much about the electrical wiring in their home, unless or until something goes wrong. For instance, the big football game is coming up on TV and people are gathered at your house to see it. A couple minutes before the game starts the TV inexplicably turns off. Nothing seems to work to get it back on. Maybe it was a blown fuse? Maybe it was something else? Whatever it was, it’s frustratingly irritating! When is it time to upgrade your electrical wiring? For most people, if their house is over 40 years old, then it’s time. Things have changed a lot since the original electrical work was installed. Think about how much different our world is today– back then, they didn’t have the kind of devices and appliances we have now, like microwaves, desktop computers, and tablets. 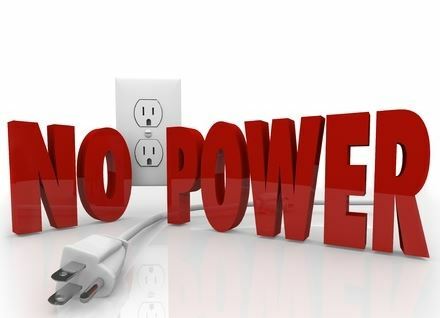 Furthermore, if you have several people living in a house trying to plug all their stuff in at once, you might have run out of outlets– so it’s time to expand the number of outlets in your home to properly accommodate the power needs of all the people who live there. One thing that might scare you– and it should– is that faulty wiring is a leading cause of house fires. This isn’t just some made-up fact; researchers studied this topic and published their findings in a 2009 study by the National Fire Prevention Association. The conclusion? The older your house is, the more likely the wiring is outdated and/or unsafe… which could very well lead to a fire. You don’t want that. You want wiring that’s “up to code,” or, more importantly, up to the current code. 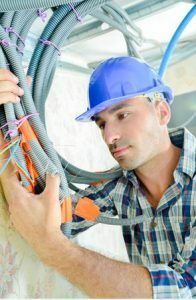 When’s the last time your wiring was professionally inspected? Most of you would say, “I have no idea.” Others might say, “When we first bought the house.” If it has been “some time” since it was checked, make it a priority this year to have a company like Always On Electric come take a look at what’s going on in your house with your electrical wires. You’ll especially want to have your wiring checked if you’ve noticed fuses are blowing repeatedly, lights are flickering or dimming, you smell burning coming from a certain room or appliance, or– don’t laugh– you get a tingling sensation when you touch a certain appliance. Your wiring should also be inspected if you’ve noticed particularly warm outlets or ones that have become discolored or spark when you plug things into them. Call 970-309-2616 to connect with Always On Electric. Why is My Electrical Outlet Hot? Have you ever gone to unplug something out of an electrical outlet only to notice it feels warm to the touch? Why is that? A warm outlet tells you there’s probably a problem that needs to be addressed. It doesn’t necessarily mean a fire will start or your electrical system will fail right away, but it does indicate “something’s” wrong. If you plug in laptop chargers, modems, computer printers and/or other small appliances, many of them use a transformer to convert AC to DC. This process can cause the plug to feel warm– so, after unplugging your item, if the plug gets cool again soon, then this is “normal.” If however, the outlet still feels warm after unplugging your charger, you should call an electrician to come take a look. Outlets can become warm when too many devices are plugged into one outlet. An overloaded power strip could be causing your outlet to overheat because you’re putting too much demand on that one outlet. Warmth is coming from the increase of electricity right there. It’s best to remove a couple items from that outlet to help it cool down. Sometimes outlets break. They can crack or chip, wearing down over time, and feeling warm to the touch; they may need to be replaced with new ones. Furthermore, electricity could be escaping via frayed wires or loose electrical terminations, causing the outlet to feel warm. An electrician can inspect your wiring and repair damaged ones. Finally, you might have warm outlets because your overloading the circuit. Electricity travels on “highways” called circuits. It gets distributed in a way that doesn’t overwhelm the whole system. 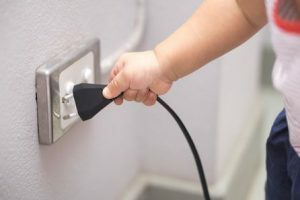 Nevertheless, some people tend to plug in energy-sucking devices into one particular circuit that cannot handle “all that.” That’s when outlets warm up. 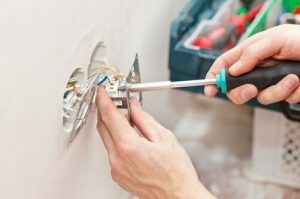 Oftentimes, an electrician will end up installing new outlets and/or adjusting the circuits to make it possible to get the kind of power you want to a particular room such that you’re no longer overwhelming a particular circuit. Always on Electric can check your outlets in Colorado. Please call 970-309-2616 or email alwaysonelectric@hotmail.com with your concerns. House fires are always frightening, but electrical fires are particularly scary due to the possibility of the fire starting while people are sleeping. Kitchen fires are also quite common, but most kitchen fires start while someone is cooking. Electrical fires, on the other hand, may start at any time, including while everyone in the house is asleep. These tips will help you prevent electrical fires in your home. It is a good idea to schedule a professional inspection by a licensed electrician if you live in an older home or are experiencing electrical problems. Older homes may still contain wiring that is dangerously outdated. 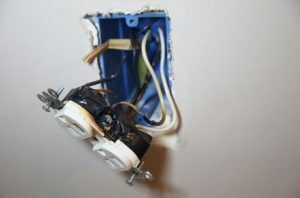 An older home may be due to have the wiring updated since electrical components do not last forever and older wiring may not support modern appliances. Defective or damaged wiring and appliances are a frequent cause of home electrical fires. Always replace or repair any electrical cord or appliance that shows signs of damage. It can be tempting to plug multiple appliances or devices into a single outlet, particularly in older buildings that do not have enough electrical outlets, but this can be dangerous. 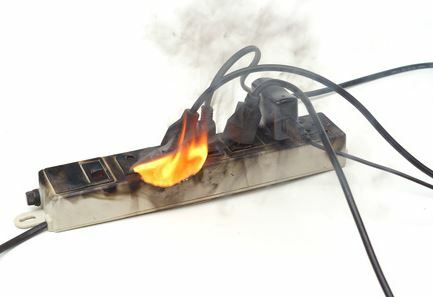 Overloading an outlet or an extension cord can lead to overheating and an electrical fire. Electric cords and appliances often generate heat. Always exercise extreme caution with placing flammable materials anywhere near electrical cords and devices. As these devices or cords heat up during usage, they may cause bedding, paper products, clothing, or any other flammable material to catch fire. Lights flickering or dimming, sparking when you plug a device into an outlet, a buzzing sound coming from electrical outlets, or breakers that frequently trip are all signs that the electrical system in the home needs to be inspected by a licensed electrician. None of these things should occur with a properly designed and maintained electrical system. Your first call should be to a qualified electrician if any of these things are happening in your home. Always On Electric proudly serves home and businesses in the western Colorado region. Whether you need a routine inspection or are experiencing trouble with your electrical system, we are ready to help. Contact us today at 970-309-2616 to learn more or to schedule an appointment with one of our experienced electricians. As we become more dependent on a wide variety of electrical services and devices, power outages may seem more important than they were years ago. Today a power outage may interfere with lighting and entertainment, but also with safety and our ability to work. 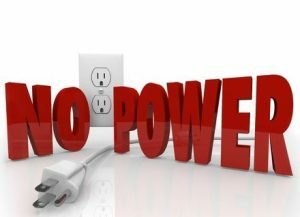 These are a few of the common causes of power outages. Our modern electrical system is composed of many different components. Electrical equipment is susceptible to failure as it ages or is damaged, just like the various parts in your car may fail over time. An equipment failure in the electrical system may result in a power outage to one home or to an entire area, depending on the equipment that failed. As recent hurricanes in Texas and Florida have demonstrated, severe weather events may disrupt electric service to entire communities. A more typical example or weather-related power outages might involve lighting strikes, wind, or ice accumulation during winter. Trees are often responsible for power outages. As the trees grow, their branches may come into contact with electrical lines or components. Trees may also indirectly trigger a power outage if a limb or the entire tree comes down during a storm. Falling limbs and trees may cause faults or damage to electrical lines. Sometimes a power outage is caused by human damage. Common examples of human-caused outages are car crashes or construction equipment that cause damage to electrical components or lines. Wildlife like snakes, rodents, and birds are just going about their daily life and doing what animals do each day. Unfortunately, they also sometimes come into contact with power lines or electrical components. The result is sometimes a power outage. While utility companies make efforts to limit the impact of wildlife on electrical service, these animals still sometimes find a way to a dangerous spot. There are many causes of power outages. 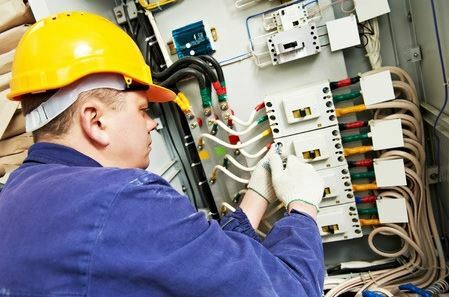 While you cannot control the electrical system outside of your home or business, you can be sure that all of the wiring and components within the building are safe and reliable. Always On Electric, Inc. has earned a reputation for quality work in the western Colorado region. Contact us today at 970-309-2616 to learn more about our services. Does it feel like you blow a fuse at least once or twice every week? There’s a chance that you could have too many appliances plugged into one circuit. There’s also a chance that your home’s electrical system might be outdated and that you could benefit from rewiring your entire home in the near future. Take a look at some of the other warning signs you’ll likely notice when it’s time to rewire your house. Electrical systems have advanced a lot over the course of the last few decades. So if you have a home that was built 40 years ago or more and you’re still using the original electrical system, it’s probably just about time to think about updating your system. By rewiring your home, you can make it a lot safer and avoid many of the potential problems that come along with using an older system. Your home has aluminum wiring in it. Speaking of outdated electrical systems, there was a time when many systems relied on aluminum wiring. That is, until electricians started to figure out that many aluminum wires ended up causing fires once they got old. Today’s electrical systems rely on copper wiring as opposed to aluminum and are noticeably safer. You should consider going with copper if you still have aluminum in your home. 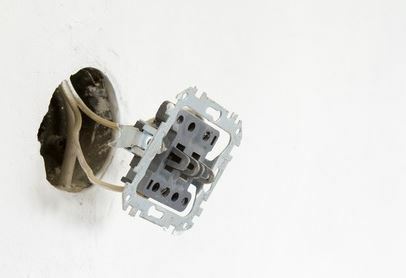 Your home has certain outlets that have stopped working altogether. Are you running extension cords all over your house to power up certain rooms? This might seem like a reasonable solution, but extension cords should not be used for this purpose. You should have an electrician come take a look at your nonfunctional outlets. They might be repairable, or they might be a sign of a larger problem within your home’s electrical system. 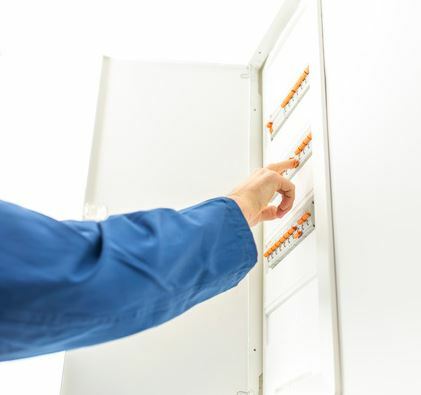 Is it time for you to update your home’s electrical system? Always on Electric can help you with it. Call us at 970-309-2616 today to set up an appointment with one of our reliable and experienced electricians.